The crash site has been secured and an investigation is underway, the US military said in a statement. The jet was assigned to the 455th Air Expeditionary Wing, and crashed around 8:30 p.m. local time. The cause of the crash remains unknown. The pilot’s name was not released. Bagram Air Base, the biggest US military installation in Afghanistan, is about 30 miles (50km) north of the country’s capital, Kabul. 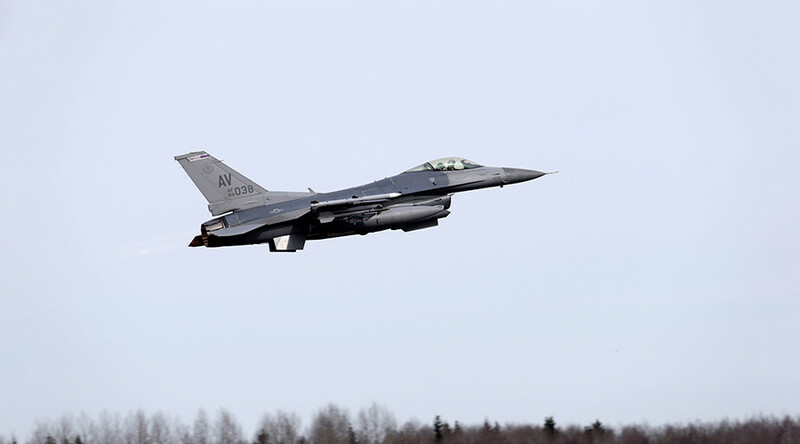 The most recent F-16 crash was in January, involving a jet from the 56th Fighter Wing at Luke Air Force Base in Arizona. Last July, Iraqi Air Force General Rafid Mohammed Hasan died in a training accident in southern Arizona, also piloting an F-16. Designed in the 1970s by General Dynamics (now Lockheed Martin), the F-16 "Fighting Falcon" was originally an air superiority fighter, but has since been adapted for ground-attack missions. The US Air Force has stopped buying new F-16s but continues to operate the plane and export them to US allies. Its successor, the F-35 Lightning II, is still a long way from operational capability, as the US military struggles to overcome a litany of technical and software problems.